This unit requires 11 stakes / tie downs. top of slide landing area that is covered for shade & safety. 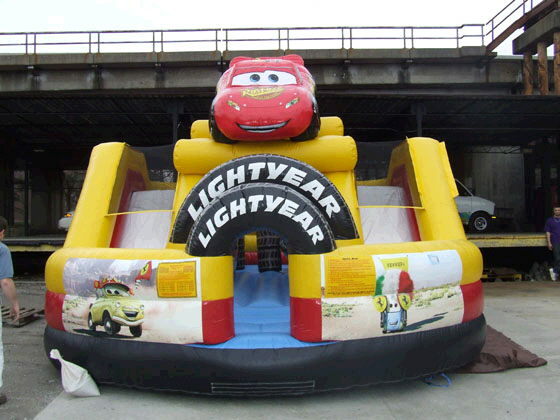 * Please call us for any questions on our moonwalk disney cars w/slide 29x17x15 foot t rentals in Ft. Wayne IN, Warsaw, Syracuse, Auburn, South Bend, Indianapolis IN.